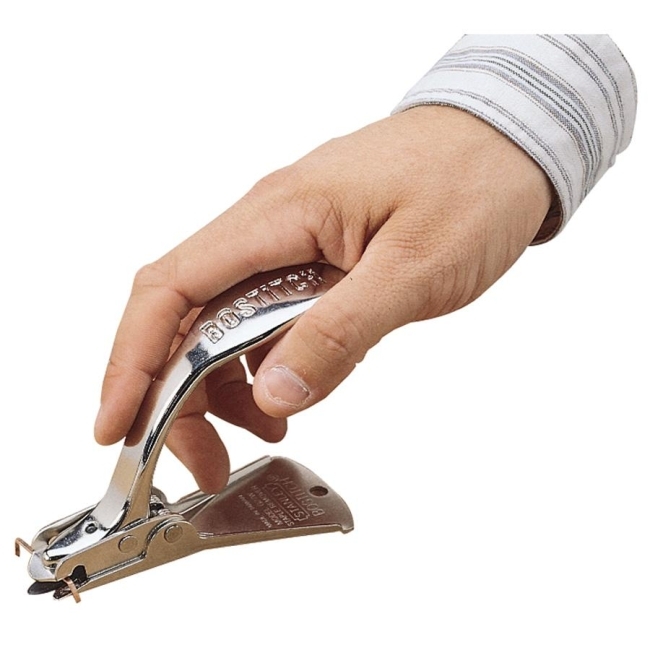 Heavy-duty staple remover is ideal for removing heavy carton staples and using for data processing, shipping and receiving departments. All-metal construction has high-quality nickel and zinc plating for long wear. Will remove a staple from up to 250 sheets of 20 lb. paper.